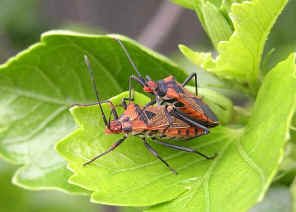 This Cotton Plant Bugs easily found on the Hibiscus plants in our back yard. 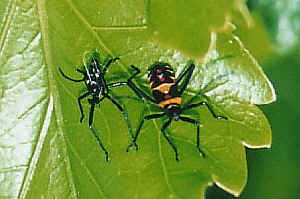 The bugs are red orange in colour with black legs. They are slow moving, always found sucking the juice from the young shots or flower buds. 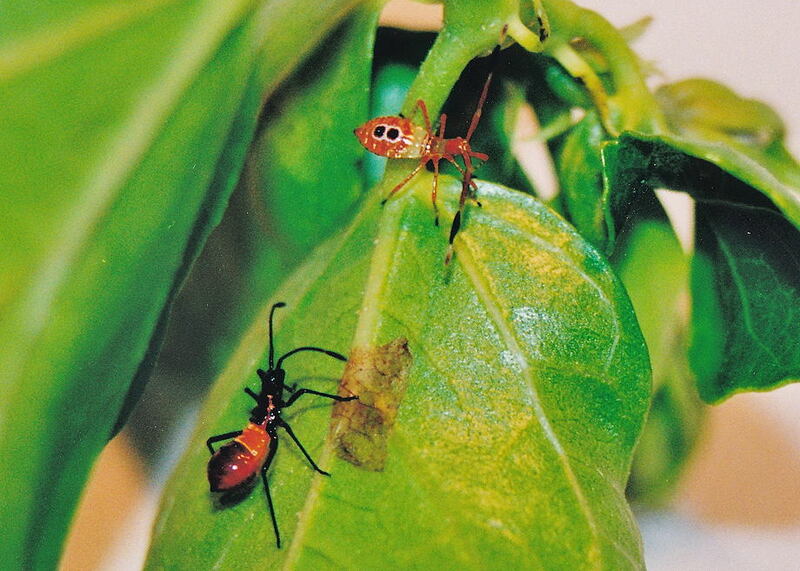 On early summer 2000, we recorded this bug lay about ten eggs on the Hibiscus leave. A month later, some young bugs are found in the same place. We recorded their growth. To see more details please click on here. 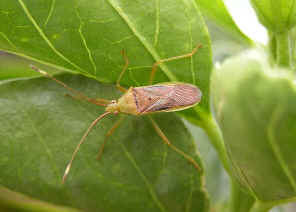 This bug has pale green body and legs. Its thorax and front wing covers are pale-brown in colour. 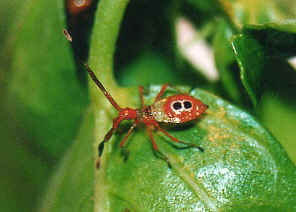 Its legs and antenna are brown in colour with a bright yellow segments near the tips. We only saw those bugs a few times from late summer to early winter. 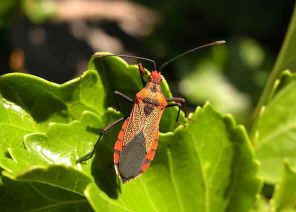 We found them on Hibiscus plants and other plants. More pictures and information please also find in this page. Last updated: August 30, 2010.